We’re not done prepping yet. Now that your monitor is configured, you need to tell Windows to play nice with HDR content. Windows 10’s HDR handling has traditionally been inferior, but sweeping enhancements in the April 2018 Update made it much easier to leave HDR active on your PC, despite some niggling quirks. 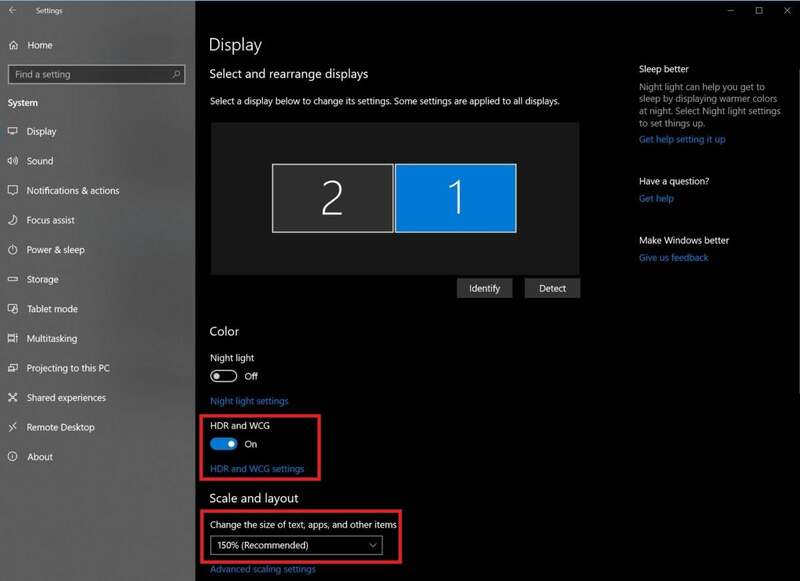 Windows 10 won’t display HDR content by default, even if you’re using an HDR monitor. To enable it, head to Start > Settings > System > Display and slide the HDR and WCG slider to on. (WCG stands for wide color gamut.) Surprise! Your whole screen will turn a sickly gray color. That’s where one of the new April Update tools comes in. 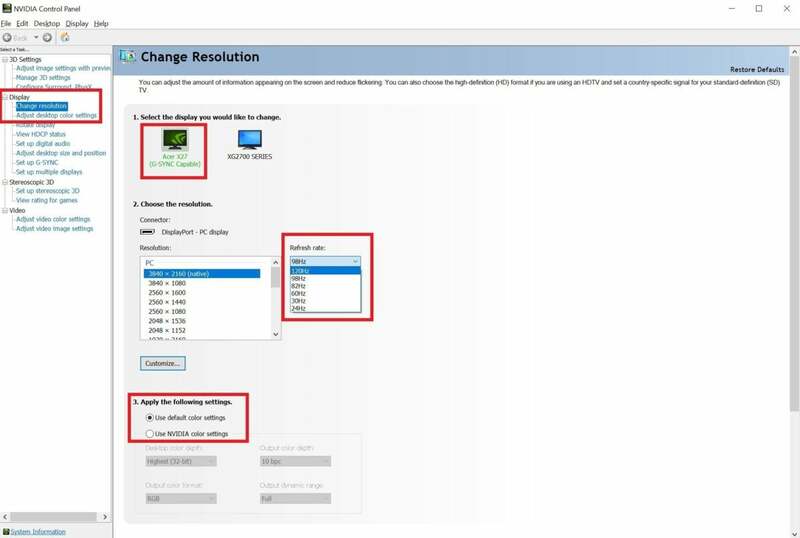 Click the HDR and WCG settings link underneath the slider. Disable the experimental HDR flag in Chrome here. Now everything should display correctly, with one crucial exception: Google’s Chrome browser doesn’t honor the brightness slider, and it remains murky and dim. If you use it as your daily driver, the best course is to tell the browser to disregard HDR completely. Type chrome://flags into your URL bar and hit Enter to bring up Chrome’s experimental options. Search for HDR, then set the HDR mode flag to Disabled. Reboot your browser and boom! Chrome is bright again. Doing so means you won’t be able to watch HDR videos in Chrome, though. 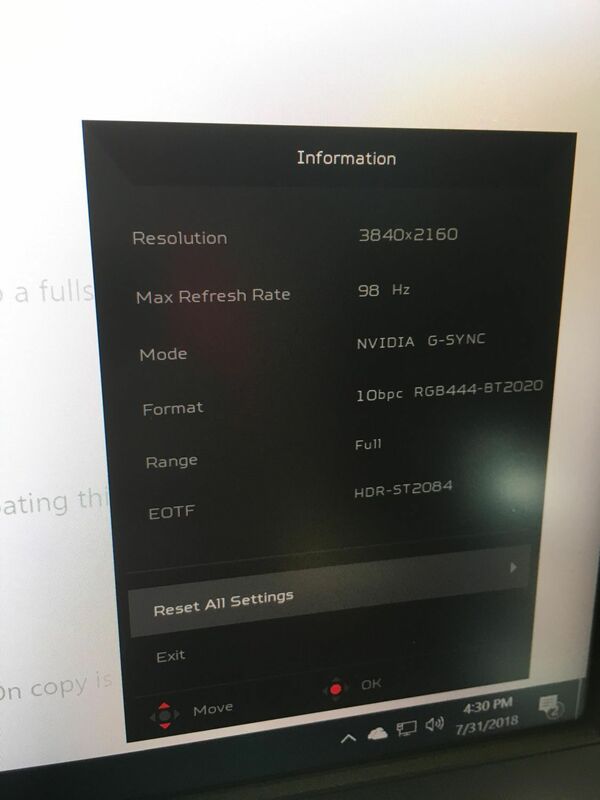 Tell Edge to stream online videos in HDR here. Windows 10’s Edge browser still won’t display HDR videos without further tweaking. 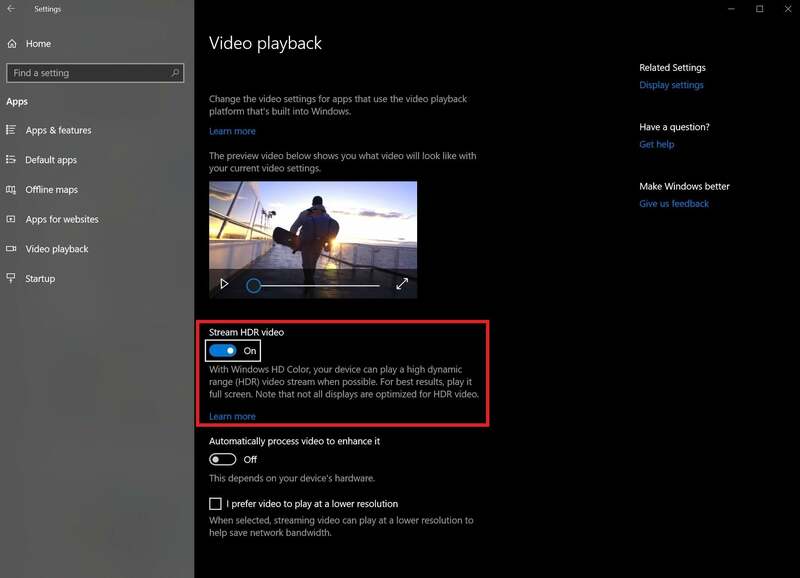 Head to Start > Settings > Apps > Video Playback and activate the Stream HDR video slider. Hey Microsoft! That’s extremely unintuitive. 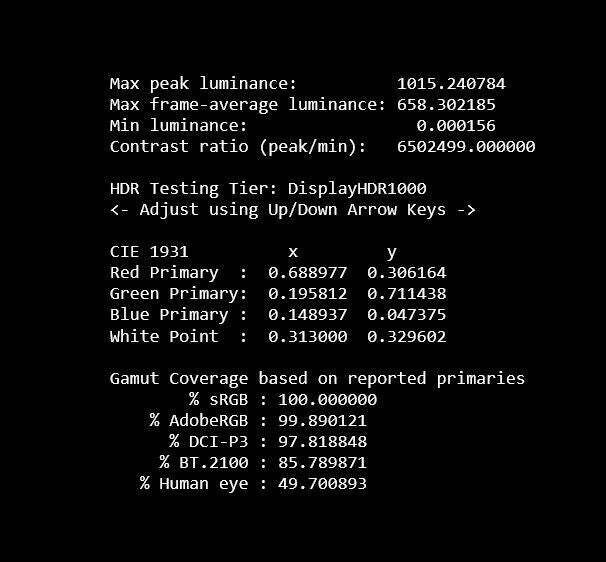 This should be bundled into or at least linked from the main HDR settings in the Display section. Phew! Now your monitor’s ready to rock. Here’s the thing about the Predator X27’s 4K, 144Hz panel. It’s freakin’ brilliant. VESA's DisplayHDR testing tool's reported gamut coverage of the Acer Predator X27. Where to start? Might as well begin with the color support. Acer calibrates the colors of the Predator X27 out of the box, complete with a calibration certificate. And what vivid colors they are! The display supports a full 100 percent of the sRGB color space, and according to VESA’s DisplayHDR calibration tool, 99.89 percent of AdobeRGB and an impressive 97.82 percent of DCI-P3. In real-world speak, the panel displays a very large number of colors, and it displays them accurately. Perusing the various visual calibrations available in the aforementioned DisplayHDR test and Lagom’s LCD monitor test pages revealed that the Predator X27 comes almost impeccably tuned in every way. Sharpness, gamma calibration, colors, you name it, and the monitor tests well. The superb contrast ratio stands out in particular, with black tones being distinguishable from each other even when you’re looking at the darkest box against a black background. This is a very bright monitor, though, and it can be difficult to make out the whitest box in the saturation test. The quality of the panel itself is just as impressive. As an IPS-technology display, it supports awesomely wide viewing angles, with the image appearing just as crisp and viewable looking from the side. We didn’t see any banding during testing, either, and absolutely zero backlight bleed. If you put a black fullscreen image on the display in a dark room, it blends right in, with none of the glowing edges you’ll find on other displays. Putting a black image on the screen made one minor flaw appear, though. 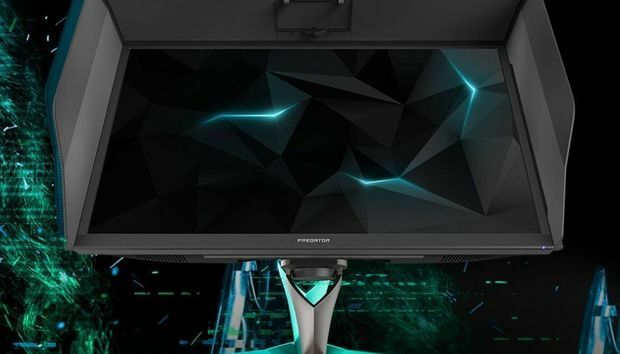 The Acer Predator X27 and other 4K G-Sync HDR displays include 384 backlights throughout the screen, so that individual parts of the panel can be much lighter or much darker as needed when it’s showing HDR content. That’s why its contrast ratio is so good. If you move the white mouse cursor on a stark black background, however, you can see a very faint halo around it, as the moving cursor activates the various backlights. But fear not: I never once noticed the effect during standard daily desktop use or gaming, and I use a darker wallpaper background. The Predator X27’s dazzling brightness, incredible color accuracy, and responsive blacks make watching HDR content a delightful treat, though HDR PC content is still hard to find. Netflix and YouTube (particularly the aptly named HDR Channel) are your best bet for HDR videos, while the gurus over at the PC Gaming Wiki keep track of which games support high-dynamic range visuals. And friends, HDR gaming can be sublime, though the implementation can vary vendor-to-vendor. The Predator X27 is a stunner in brightly lit HDR scenes, like the opening sequence of Final Fantasy XV, where the dark-clad boys push their black car through a desert vista. The scene could easily look washed-out if Square Enix didn’t handle it correctly, but nope. It’s a visual marvel, full of detail and contrasting colors that drive home what’s possible in HDR. Far Cry 5’s Montana bright-blue skies and explosions look delightfully vivid. While Destiny 2’s gameplay isn’t necessarily a showcase for HDR’s peak brightness and deep blacks, the opening sequence in a dark, burning Tower will take your breath away. If you pay closer attention, the game uses HDR to show a wider range of color in its palette, creating an effect that’s subtle, but still more beautiful regardless. You can see the same in Far Cry 5’s shadows, where you’re able to pick out many more details and shades of color with HDR enabled. 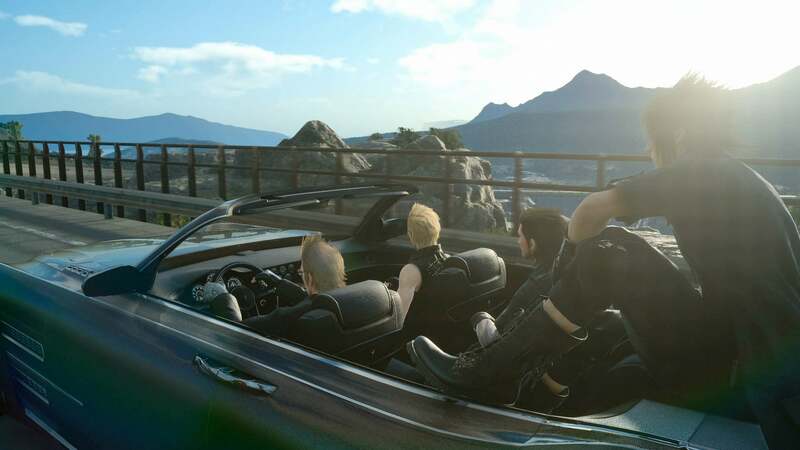 Final Fantasy XV supports HDR very well. Most games don’t support HDR yet. Fortunately, the Acer Predator X27 excels at SDR gaming, too. Its higher brightness level and robust, calibrated colors help the monitor outperform the other displays on the market. The buttery-smooth silkiness provided by G-Sync is icing on the cake. Good news for fans of ultra-fast speeds: We didn’t notice any changes to visual quality in games when shifting from 98Hz/10-bit color to 120Hz/8-bit color settings, so let your graphics card roar. Settings that resulted in 4:2:2 chroma subsampling didn’t have an effect on most games, though it made the tiny onscreen text yelled by the villagers in Into The Breach hard to read. Outside of gaming, the chroma subsampling could occasionally make small, fine text difficult to read, especially on colored backgrounds. I could see it potentially being an issue if you play a lot of text-heavy games. If so, you’ll want to stick to the standard 98Hz or 120Hz configuration. I ran into bizarre, occasional brightness issues with the screen from time to time as well. Randomly, and not frequently, the screen will look gray and washed-out after the computer wakes, appearing similar to how SDR content looks before you adjust Windows 10’s brightness function. When it does so, the signal output, color format, and even the speed for the panel changes to a different setting than usual, as you can see in the screenshots below. Signal information when the screen is behaving normally. Signal information when screen goes gray after waking. It’s a bit irritating when you’re sitting down to work in the morning, but fortunately the washed-out look Is simple to fix. 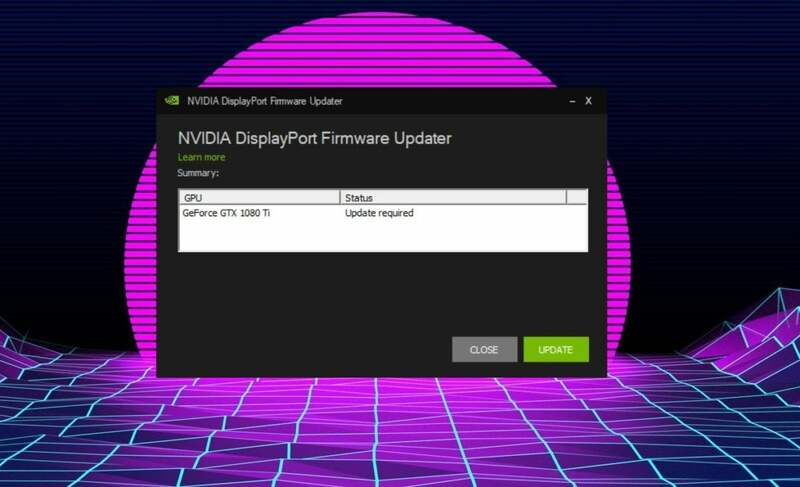 Either reboot your PC, or open the Nvidia Control Panel and change the monitor’s refresh rate. 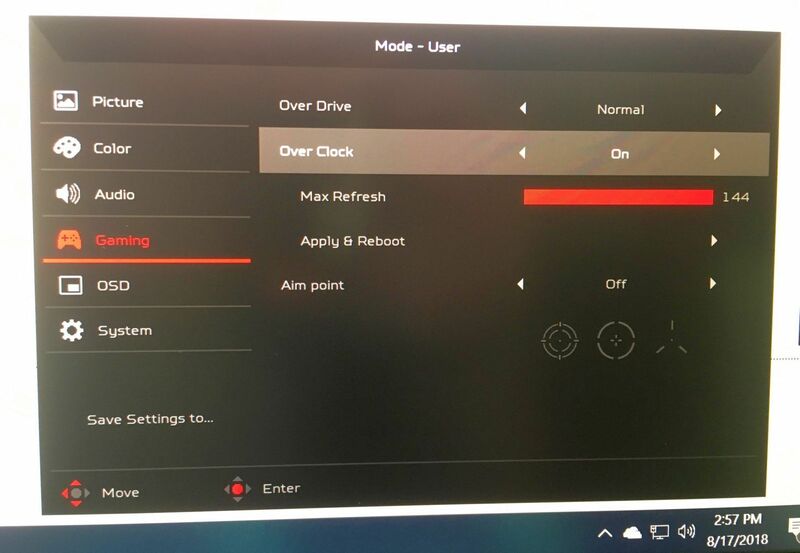 Doing so will cause the monitor to blink, reset, and brighten up, and it’ll stay brighter even if you select not to keep the refresh rate changes when prompted. 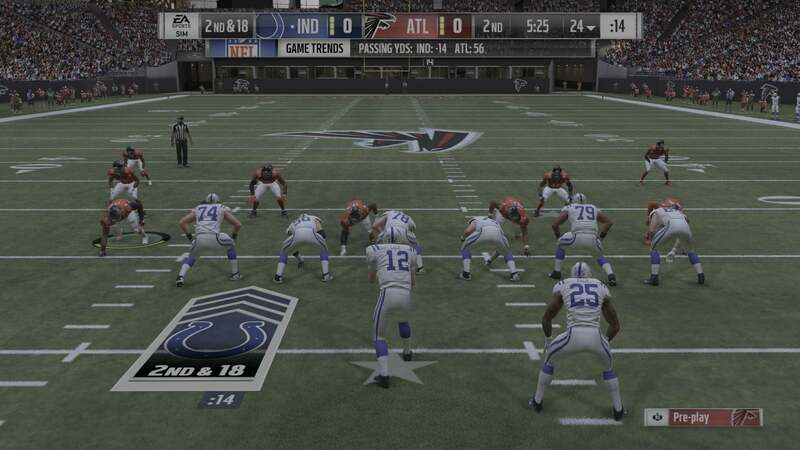 Madden on the Predator X27. 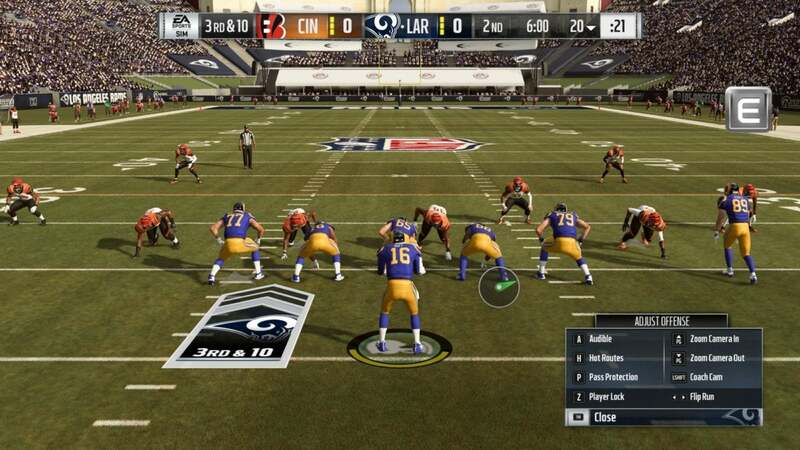 Fortunately, this effect happens only in Madden 19. I’ve shared the information with Nvidia, but the company hasn’t yet been able to share a root cause for either grayness issue. Don’t let those couple of tiny quirks dissuade you, though: This monitor rocks. Should you buy the Acer Predator X27? 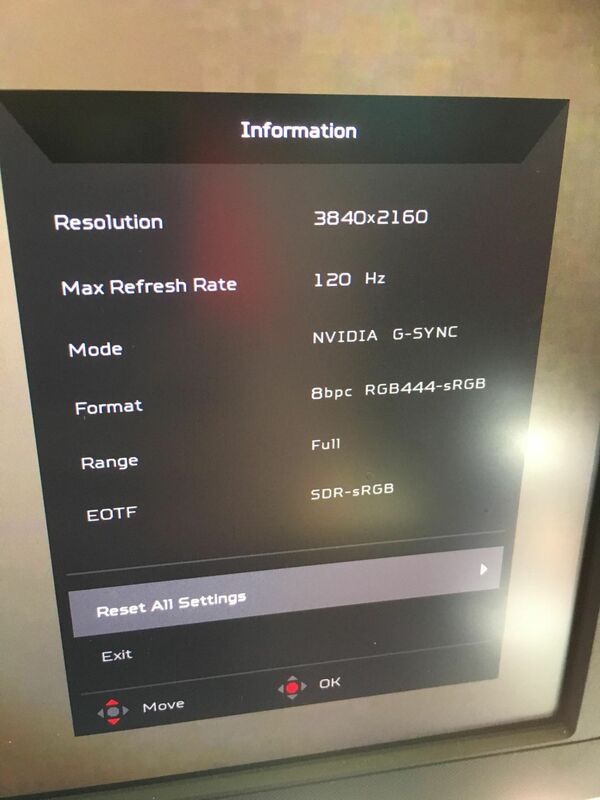 I’ve been itching to get my hands on a G-Sync HDR monitor ever since I laid eyes on one at CES 2017 and needed to shield my eyes against the fierce glow of an onscreen explosion. The Acer Predator X27 delivers. Any of the bullet-point features of this display would be impressive by their lonesome. But when you blend together 4K resolution, 144Hz refresh rates, HDR10 support, outstanding color accuracy, quantom dots, 384-zone backlight, and Nvidia’s game-smoothing G-Sync technology, the Acer Predator X27 truly feels like a monitor from the future. It’s easily the best display I’ve ever laid eyes on despite some minor bleeding-edge hiccups, such as an active fan for cooling, a complicated setup to get everything working properly, and occasional grayness in the output signal. And HDR is still in its early days on PC, with limited game and video support, though the Predator X27 also makes SDR content look its absolute best. But at $2,000 on Newegg, it’s also the most expensive consumer display by far. You can find top-notch 1440p, 144Hz displays with G-Sync for around $600. 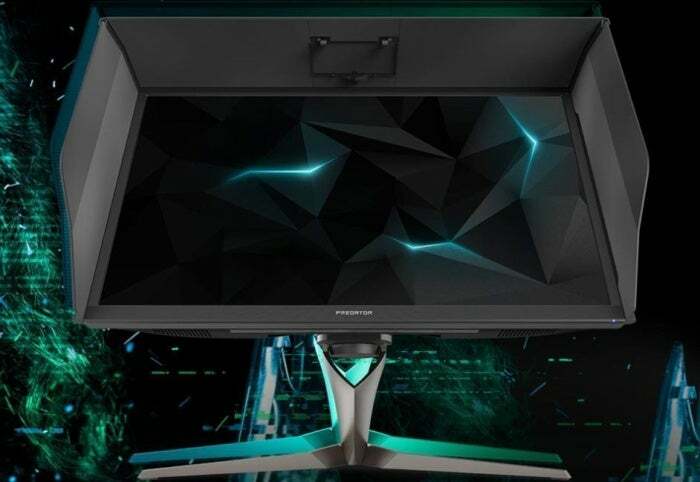 If you’re only interested in speed and don’t mind giving up G-Sync, HDR, or brightness, Korean manufacturer Wasabi Mango offers a far larger 43-inch, 120Hz 4K monitor for $1,366 on eBay. If you want HDR but don’t mind giving up speed and G-Sync, the 43-inch Philips Momentum 436M6VBPAB is also DisplayHDR 1000-certified and costs $1,250 on Newegg. None of those match the full, robust feature set of the first 4K G-Sync HDR monitors, though, and there’s no guarantee that their panels will be as jaw-droppingly glorious as the one in the Predator X27. The expense increases once you factor in the sizeable cost of a similarly futuristic Nvidia graphics card capable of driving games at 4K resolution—pretty much only the GeForce GTX 1080 Ti, or the soon-to-arrive GeForce RTX 2080 or RTX 2080 Ti. 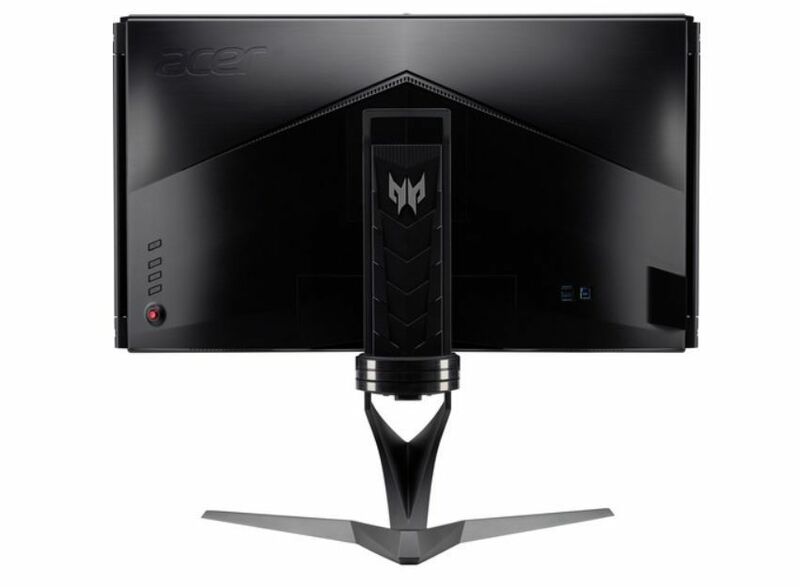 But living on the bleeding-edge never comes cheap, and small irritations aside, the Acer Predator X27 delivers everything a gamer could ask for in a monitor (aside from maybe a longer screen size). This is the first monitor in recent memory that truly feels like it’s advancing the state of the art, and by a substantial amount. Fingers crossed that some of this technology migrates into more affordable gaming monitors sooner than later. 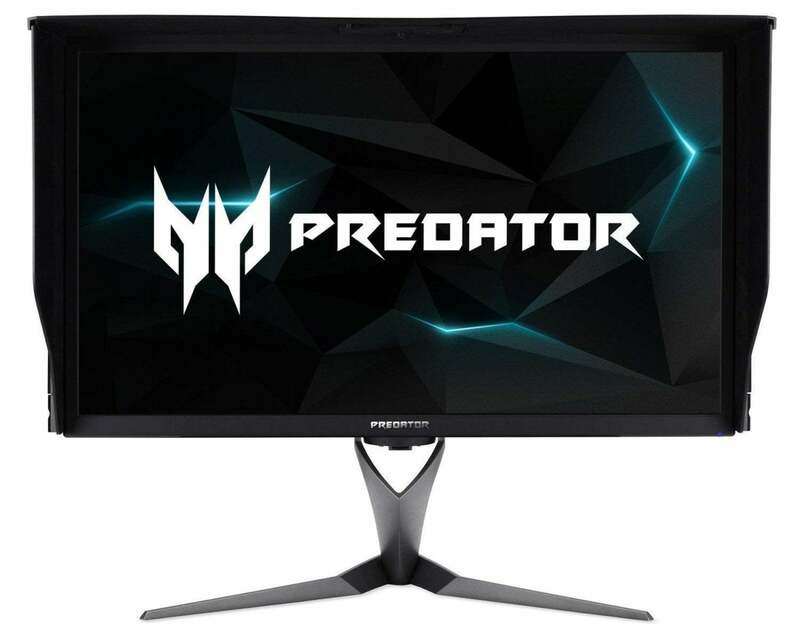 Today, though, if you’re a deep-pocketed gamer with ample cash, a top-of-the-line graphics card, and the desire to splurge on the ultimate gaming monitor, you’ll adore the Acer Predator X27. 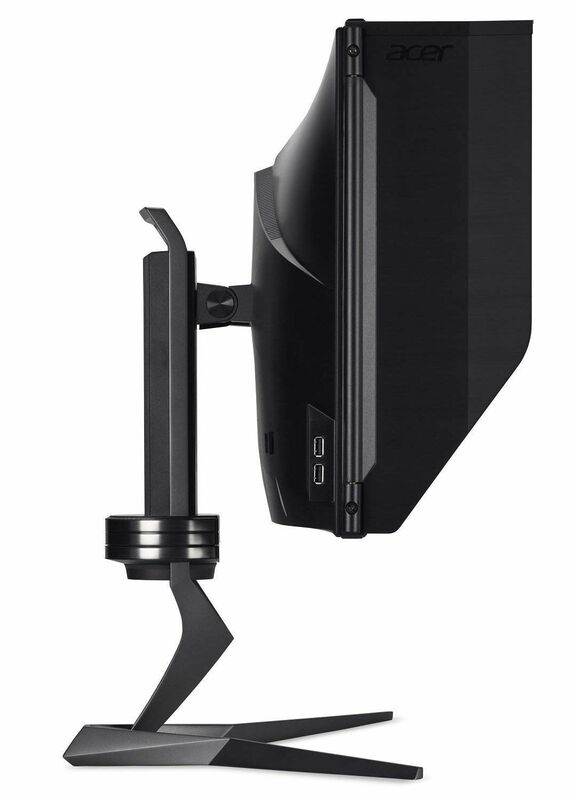 Despite some quirks and a sky-high cost, this monitor easily earns our Editors' Choice award.